Runyon Marketing in a creative marketing agency location in Summit County, Colorado. We specialize in creating digital marketing campaigns, graphic & web designs, and brand positioning & identity packages. Our focus is to deliver maximum ROI results for our clients through strategy, execution, results, and support. Agency Director & Founder, Chris Runyon, has experience working with large clients like Copper Mountain Resort to small startups like Dr. William Moore General Dentistry. Whether it’s a one-time project or ongoing marketing campaign, Runyon Marketing is excited to help your company meet your business goals and objectives. The most important thing we do for our clients is listen. We approach each project by researching the customer environment of our clients so we can help create experiences that ignite and strengthen their brand. It is only through a complete understanding of a client and their business, that we’re able to develop and maintain effective campaigns. Our strategist have been bringing brands to life for small businesses for the past five years. We are a boutique creative marketing agency, but don’t let size fool you. Our humble beginnings as a marketing startup are like any other, with an idea and a dream. We work hard to bring new and fresh ideas to our clients. Designed to help them outsmart their competition, not out spend them. When it comes to attracting, engaging and ultimately converting new customers there are no shortcuts. We can help you tap into new trends and technologies to build your brand, measure your progress, and provide training support for staff to contribute to the ultimate goals of the digital marketing plan. Everything we do on our client’s behalf is done with a collaborative attitude in order to deliver the best results possible. Gain some insight from our clients about their experience working with us and the results our work helped them achieve. Our real achievement is measured in loyal and delighted clients.  Learn more about Runyon Marketing from the people we value the most, our clients.